Please give us a call if you are interested in learning more about the Catholic Church. Contact Fr. Chris or Lucy by calling us at 880-4689 or emailing us! 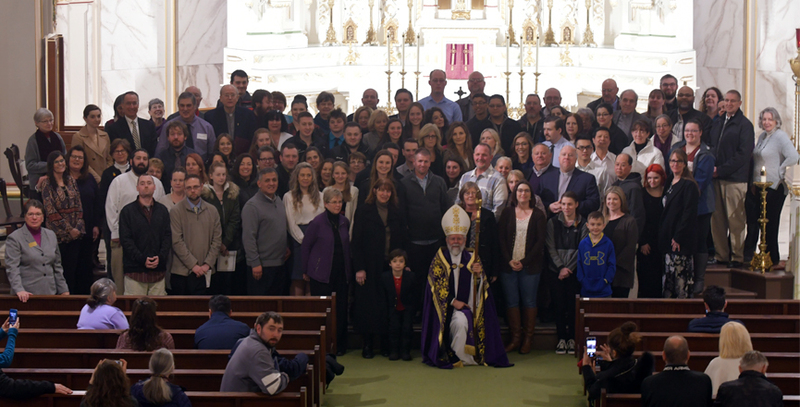 The Rite of Christian Initiation of Adults (RCIA) is the process whereby adults enter the Catholic Church. RCIA classes are held weekly and over the course of several months. Those who attend the RCIA classes are educated on what the Catholic Church believes and teaches and are given the opportunity to ask questions about those beliefs. Along with weekly Faith Formation Classes, there are also weekly dismissals at one of the Weekend Masses. At the end of the Liturgy of the Word (after the Homily) RCIA participants are dismissed with a leader to dive deeper into the Scripture passages. Maybe you are a member of another faith or do not yet know God. Start by scheduling a meeting with Fr. Chris by calling the office at 880-4689. Attend an "Inquiry Session". This is an opportunity for small group discussion for those who would like to learn more about our faith and consider receiving the graces of a sacramental life in the Catholic Church. These are informal gatherings and attending doesn&apos;t obligate you in any way for anything; it&apos;s solely for your information and benefit. You are invited to come alone or bring your spouse or a friend -- all are welcome and we hope you will join us! Just because you start RCIA doesn&apos;t mean you are committed to finish. If you are merely curious about what Catholicism is, please feel free to come. All are welcome. If you are currently a parishioner interested in joining the RCIA Team please call us. We are always looking for volunteers to work in this program! 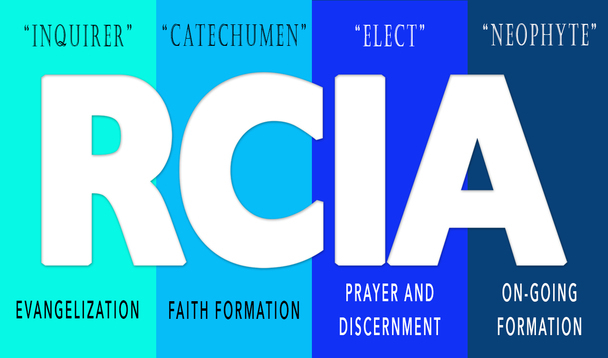 RCIA Formation is underway and we are looking for volunteers to be part of an RCIA Team. Support Team to attend Weekly Sessions, offer support to RCIA participants and RCIA leader.